Once again it's time for a TUNESday music feature, and this week's selection continues the trend of DJ's going mainstream. They're stepping out of the booth and taking center stage, crossing over from re-mixing hits of pop artists and transforming into acts capable of putting out an album full of their own hits. With the recent success of Calvin Harris, Tiësto, and others, it's a trend that I'm sure will continue. 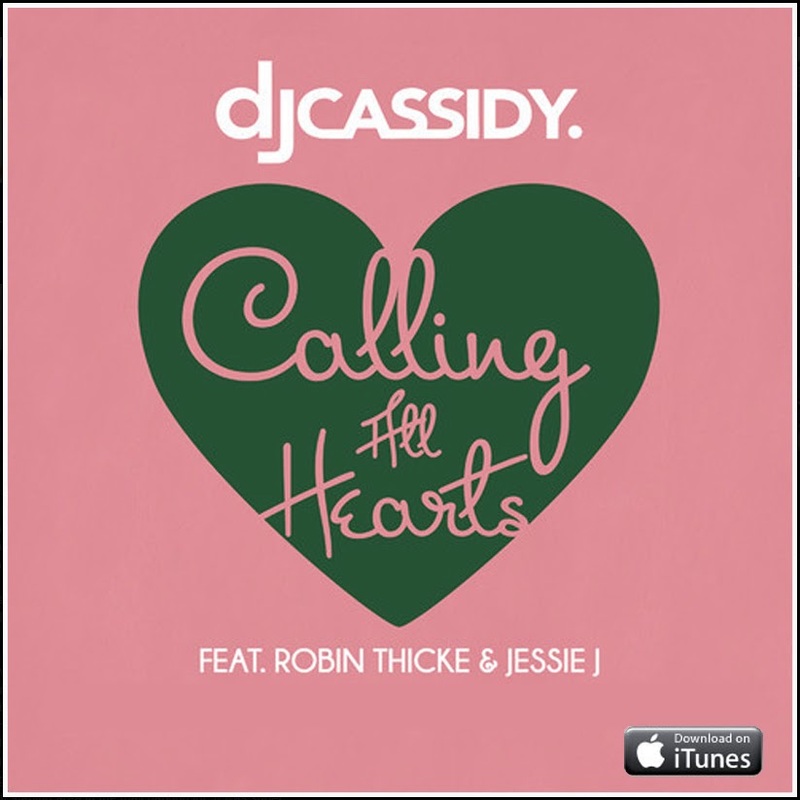 This week, check out the single from DJ Cassidy and his backup team of well known hit-makers Robin Thicke and Jessie J. They're "Calling All Hearts" in the music video below, with the download available on iTunes HERE. If you want to skip ahead to the actual song, it begins 1 minute into the video below.